Alison Shaffer: Ahh, my aching feet. Try Footminders for relief. Ahh, my aching feet. 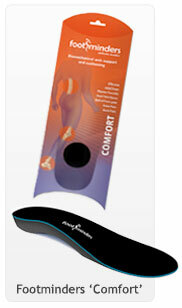 Try Footminders for relief. Do your feet ever hurt? All the time? Some of the time? My do. 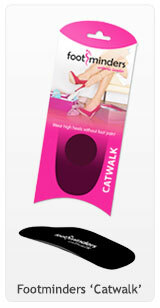 I've tried a few brands of shoe inserts to cushion my heel or help with arch support. Just a lot of walking can make your feet hurt or standing all day can put stress on your back and feet. 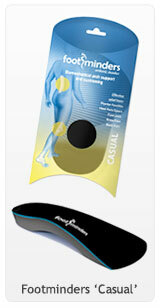 Footminders Orthoitic Insoles correct excessive pronation-that is rolling in of the foot and lowering of your arches. Footminders also provide relief from heel pain-plantar Fasciitis, Achilles Tendonitis and Metatarsalgia-ball of foot pain. Foot minders have a dual layer of advance technology to provide cushioning and bio-mechanical support and re-alignment of your feet. My husband tried out the comfort orthotics and was pleased with the wear and quality. You need to trim the insole to the size of your shoe, place it in your shoe and then off you go. If you are in the market for new insoles take a look at the three models Footminders offers to find the one that best fits your need.